If you are heading to Weight Watchers for the New Year, here’s a way to save a little extra at the grocery store. You can get $3 off 10 Weight Watchers Smart Ones products with the new printable coupon from Coupons.com. 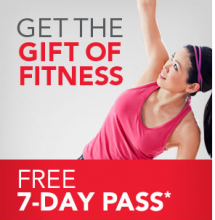 Don’t forget, 24 Hour Fitness is offering a 7-day FREE pass too if you want to give a gym a try but are just not so sure yet. I know we all start the year out with very good intensions. If you are wanting to join a gym this year, here’s an offer for you. 24 Hour Fitness is offering a 7-day FREE pass for you to give a try. This is a great way to see if you really would use a gym or want to find another alternative for your fitness routine. Head over to 24 Hour Fitness here and get your FREE 7-Day Pass. *Pass is good for 7 consecutive days, beginning on your first day of usage at a club. Pass good at multiple locations. User must not have been a guest or member of 24 Hour Fitness within the last 6 months. Photo ID required. Local residents only. No other discounts can be used with this offer. Must be at least 18 years old (19 in NE) or 12 with parent. There is an amazing deal going on at Walmart.com today. They are offering the Oral B Profession Care Holiday Pack for only $19.97 after rebate. The product is currently on rollback for only $39.97 (was $74.97). That’s 47% off! The gift pack alone is a $37 value making this a good deal! Submit this mail in rebate. Thanks Inspiring you 2 save! Our 4th â€œ12 Days of Christmasâ€ giveaway is a $50 SpaFinder Gift Certificate! SpaFinder Gift Certificates are accepted at over 6000 spas and wellness centers nationwide. We will have TWO winners again! Who doesn’t want a little pampering during the holidays? This would also make a great gift for someone. Please use a valid email address, this is how I will contact the winners. Giveaway will end at 8:00pm PT on Tuesday November 8th. Two winners will be chosen randomly using â€œAnd the Winner Is:â€ a WordPress plug in. Good Luck! 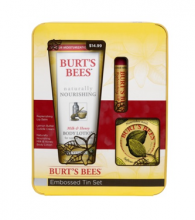 Giveaways Nov 4, 2011 in free, health, spa · Expired! Head over to Facebook and get the $5 off Nature Made Fish Oil Vitamins. This coupon is from Rite Aid and there is only a limited supply available. The free Prilosec offer is back. 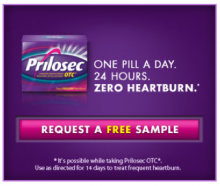 Head over to Prilosec and see if you qualify for a free sample of Prilosec OTC. Even if you didn’t qualify, I’m sure you’ll get a great coupon to use! SaveMore.com daily deals has another great deal this week. You can get FREE Fusion Suncreen Wipes! If you havnen’t signed up yet, now’s the time to do it. Every new sign up will receive a $10 instant credit to use. Once you have your credit, check out the $7 for $14 Worth of Wipes from Fusion Sunscreen, FREE with your credit. Shipping is also 50% off! I don’t know about you, but I love these wipes. I actually bought two of these! I keep several in my purse for when I’m on the go and forget the sunscreen! 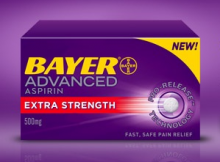 Bayer Advanced is giving away 1000 free bottles of Bayer Extra Strength Advanced Aspirin daily. It is a random giveaway and you won’t know when it’s going to take place unless you sign up for their email alert or check the site repeatedly. You can also get a printable coupon for $1.50 off while your visiting the site! Head over to Bayer for more information and get the coupon! Be prepared when the Flu comes. Let me tell you, it’s horrible this year! My family was sick the entire month of January and my pediatrician told me yesterday it’s still going around. Sign up today and get a coupon for $1.00 off Robitussin!